First of all, if you are counting text in PDF files with images, please make sure that OCR is enabled for PDF in the "Settings >> PDF" or "All formats >> Acrobat >> PDF" dialogs. Otherwise, and especially if you receive the "Invalid variant operation" error message, please download the latest build of AnyCount and install it over your current one. It is possible that the OCR libraries were not properly installed during the previous installation. 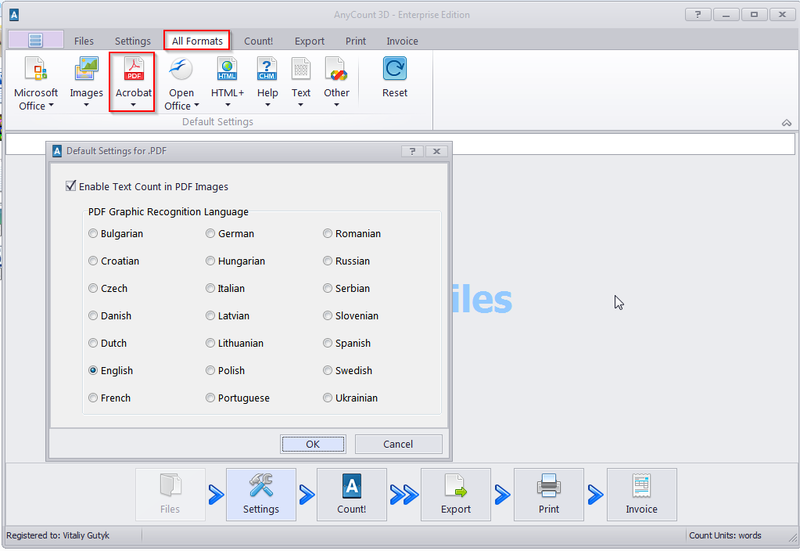 Please keep in mind that OCR functionality is available only to holders of the "Enterprise edition" of AnyCount.